Buy Natracare Long Ultra Pads Regular with Wings (10) in the UK from our online shop or directly from our independent Scottish store. Soft certified organic cotton cover. Absorbent cellulose core to keep you dry. Waterproof plant-based back. No plastic and no perfumes or dyes and totally chlorine free. Biodegradable & compostable as well! Where can you buy real Ultra Pads Long + Wings safely online? If you are wondering where you can buy Natracare Long Ultra Pads Regular with Wings (10) safely online in the UK, then shop with us. 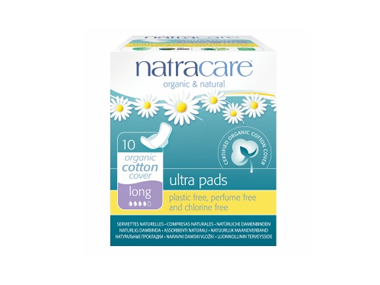 Ultra Pads Long + Wings - Natracare Long Ultra Pads Regular with Wings (10) in Pads & Towels and Female Hygiene.